In photoshop you can not only draw pictures and retouch photographs, and create original and impressive text effects that will help to make a beautiful and unusual lettering for advertising, website or blog. Spending only an hour to spare, you can paint in photoshop shiny text style colored neon signs. Create in photoshop a new document and fill the background with black. Select the toolbar option Vertical Type Tool and type any text you want to make shiny. After that, open the Layers menu and select Layer Style. In the opened window, select the Drop Shadow tab. Set the blending mode of the shadow to Multiply. Now go to Inner Shadow tab and add a text inner shadow mode Color Burn. Then select the tab Bevel and Emboss mode the Emboss Pillow, and then on the Color Overlay tab, check the box specifying the desired color. Draw the text with any color darker than the main color of the font by clicking on the Stroke tab, and selecting the thickness of the stroke (just one pixel). Now set the tab Outer Glow opacity to 62% and the blending mode Color Dodge. Click OK.
Go to the Image menu and select Adjustments>Hue/Saturation. Select Colorize, and then adjust the color tone to the one which is suitable to the color scheme of your text. Duplicate the layer, remove shadow and outer glow in the Layer Style menu. Then in the menu select section Filter Blur>Gaussian Blur with a radius of 20 pixels. 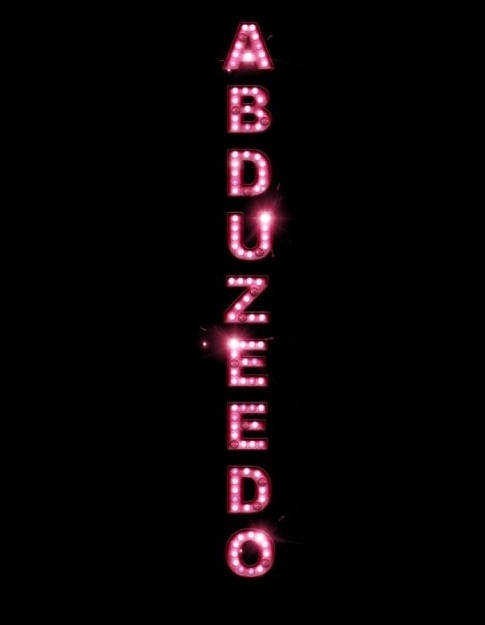 The layer blend mode change to Color Dodge, and then use a soft eraser with zero stiffness and a small size computer, the image, causing the surface of the letters "lights". Some of the lights for more realism make blown and that they were more realistic, you can copy the image of the neon fire with photograph any neon sign and use it as a brush. In the Layer Style menu select the tab Drop Shadow and set the shadow on the letters. Add on some letters flash by using the appropriate brush in the form of bright glare. The blending mode of the layers change on the Screen. Duplicate flash and place them over some of the letters. Blur the image using Gaussian Blur filter of small radius. Add to the image any background texture on a new layer to get the beautiful background behind the text, and put on her glow.